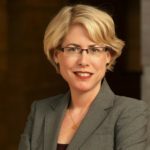 Butler Snow’s Margaret Z. Smith recently was republished by Jackson Young Lawyers May 2018 Newsletter for an article she authored titled “When in Doubt, Assert a Rule 403” about a corporate defendant’s financial well-being becoming admissible as evidence at trial due to a recent loophole used in Georgia Supreme Court case Chrysler Group LLC n/k/a FCA US LLC v. Walden, et al., 812 S.E.2d 244 (Ga. March 15, 2018). To read Margaret’s article in its entirety, please visit the link below to download the publication as a PDF or enjoy our interactive reader below. If the interactive reader below experiences technical difficulty fetching the content above, please view the interactive version of Margaret Z. Smith‘s article directly on Issuu.com by clicking the following link here.